The law is diverse and spans all sectors of society. To serve the public’s broad legal needs, it is important that law students are given the opportunity to understand and explore their many career options. Law schools support this exploration by offering students practical work experience while still at school through legal clinics, pro bono projects, co-ops, internships, and summer jobs at nonprofit and government agencies. The Law Foundation of Ontario helps support these initiatives through its annual granting to law schools and Pro Bono Students Canada. $5.6 million in funding for 81 articling placements. Some of the nonprofit organizations that have benefited from the PIAF include Amnesty International, Barbra Schlifer Commemorative Clinic, Canadian Civil Liberties Association, Innocence Canada, Peacebuilders, and Public Interest Advocacy Centre. Most host organizations would not be able to afford an articling student without Foundation funding.  Amanda Carling entered the University of Toronto’s Faculty of Law convinced she was going to be a criminal lawyer championing the rights of Indigenous youth. Six years later, Amanda is living her passion of helping young Indigenous people, just not in the way she originally expected. It was Amanda’s PIAF at Innocence Canada (formerly known as the Association in Defence of the Wrongly Convicted or AIDWYC) that opened up a whole new world of career opportunities to her. After articling, Amanda was able to secure a job at Innocence Canada working on wrongful conviction cases. She also initiated and ran the organization’s first education program to help prevent wrongful convictions from happening in the first place, a program funded, in part, by the Foundation. This program focuses on justice sector professionals, such as court workers and police officers, and Indigenous peoples across Canada. Coming full circle, Amanda recently became the manager of Indigenous Initiatives at her alma mater, a program that is funded in part by the Foundation’s grant to the University of Toronto law school.